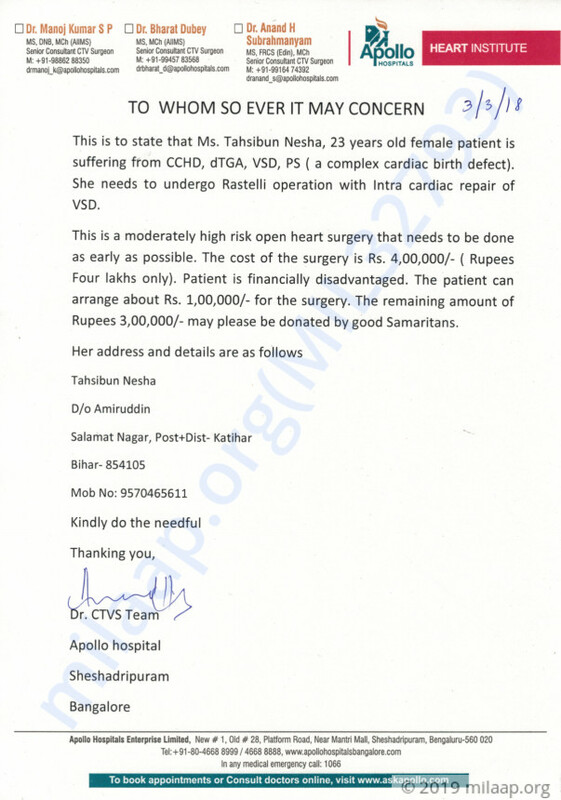 23-year-old Tahsibun Nesha has been suffering from a severe heart disease for the last 2 years. 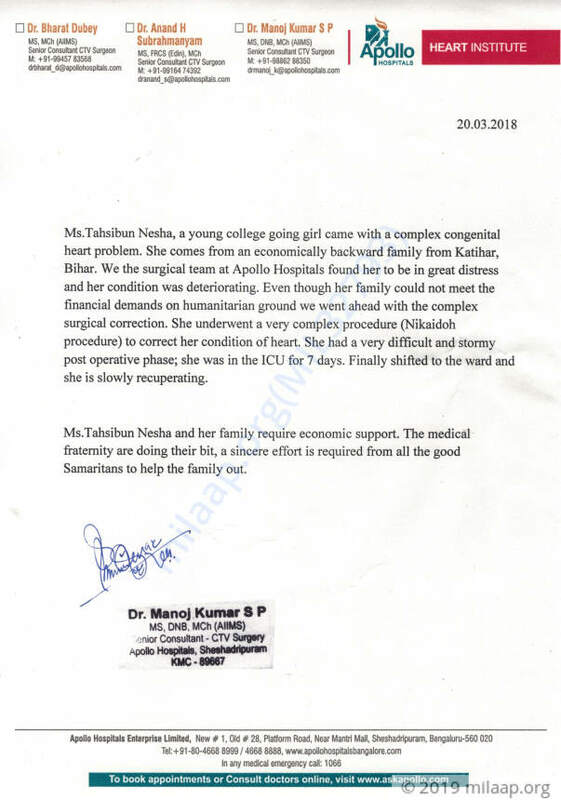 She had to undergo a surgery before her condition became more critical as she had already prolonged the treatment. The total cost of the treatment is 4 lakh Rs. Unfortunately, her father Amirrudin has already exhausted all his funds paying one lakh and does not have the funds to pay the remaining amount. 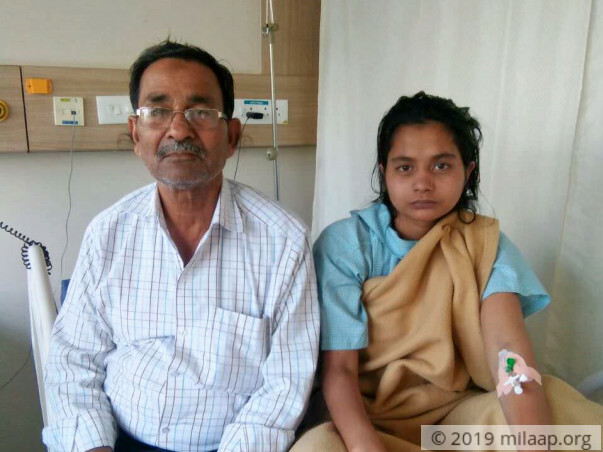 Your contribution can give Tahsibun the treatment she deserves.